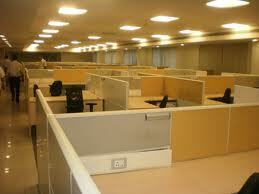 Rent commercial office spaces in Vile Parle west, rent office spaces in Vile Parle(west), 1500 sq. ft Goldmohur Road, semi furnished Rs 225000 - - In Vile parley west, rent commercial office spaces in vile parley (west), Mumbai, western suburbs. Office space for rent in Vile Parel , Mumbai - offices spaces on rent commercial property in Vile Parle west - 2500 sq. ft near JW Marriott hotel Juhu, semi furnished Rs 375000- Rent offices spaces in vile Parel(west), Mumbai, Western suburbs. Rent offices spaces in Vile Parle / west,rent commercial office spaces ( vile parle) west,1400 sq ft near Kalaniketan, Juhu, close to s.v. road ,Rs 210000 - Rent office spaces commercials in vile parle ( west), mumbai ,western suburbs| it Park. Rent commercial office spaces in Vile Parle west ,1800 sq. ft s.v. 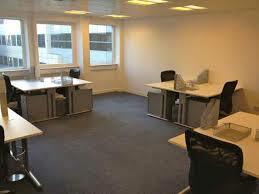 road semi furnished 270000 Rent office spaces in Vile Parle (west), Mumbai, western suburbs| it Park. Rent commercial office spaces in Vile Parle west, 800 sq. ft off s.v. Road near station, Rs 90000- - Rent office spaces commercials in Vile Parle (west), Mumbai, western suburbs| it Park. Rent commercial office spaces in Vile Parle west ,12000 sq ft Main s.v.road new glass facade building 175000, - Rent office spaces commercials in vile parle ( west), mumbai ,western suburbs| it Park. Rent office spaces in vile parle west, 1700 sq ft 27000 fully furnished , of s.v road - Rent office spaces commercials in vile parle ( west), mumbai ,western suburbs| it Park.